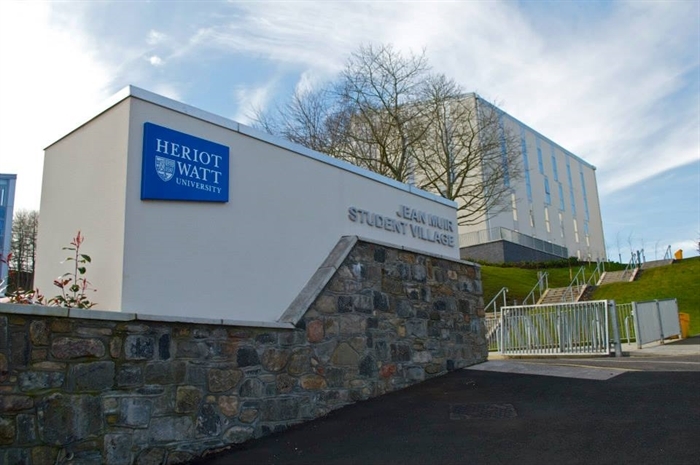 Modern and comfortable accommodation for individuals, families and groups is provided at Heriot-Watt University's Scottish Borders Campus. 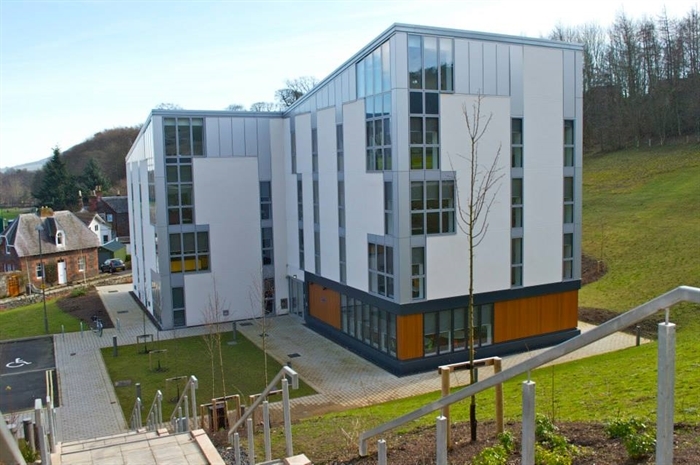 Ringed by the beautiful rolling countryside of this historic region, the Jean Muir Student Village in Galashiels is the ideal destination for visitors on holiday or on business. 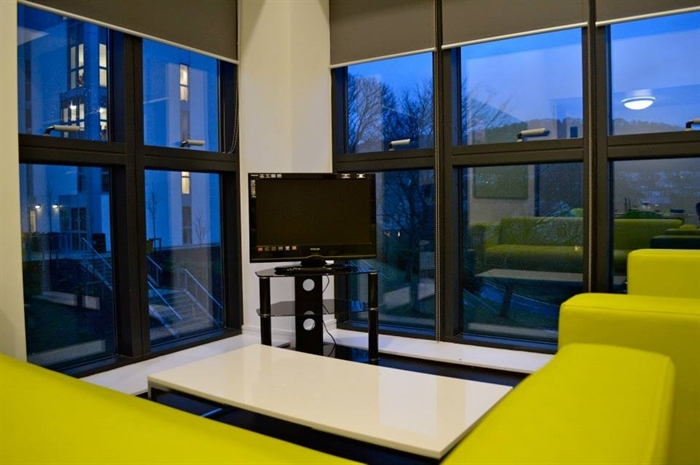 The Jean Muir Student Village, completed in September 2012 and designed for students attending the internationally-renowned School of Textiles & Design, has a very high standard of contemporary amenities including free Wi-Fi.We also operate a 24 hour reception and Security. 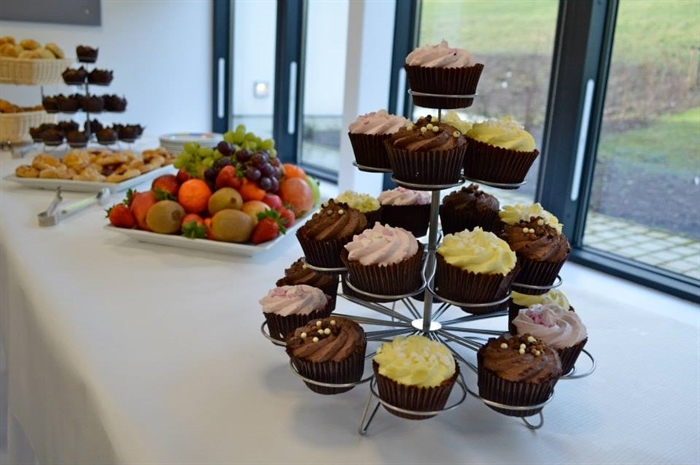 Awarded a 3-star rating by VisitScotland, these unrivalled facilities are available to the public from late May until the end of August. 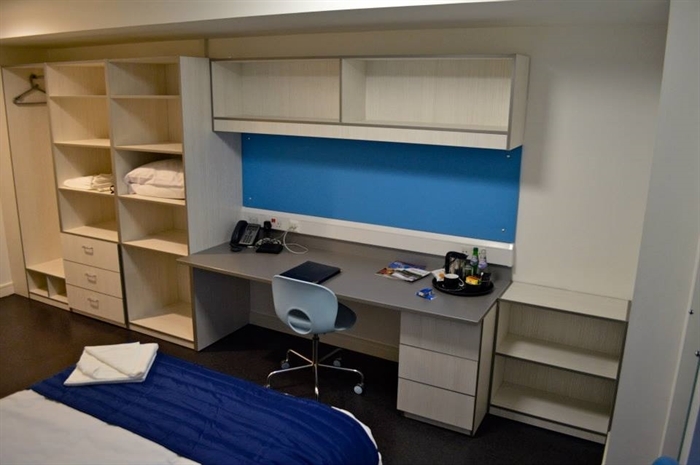 It may also be possible to book accommodation throughout the calendar year. 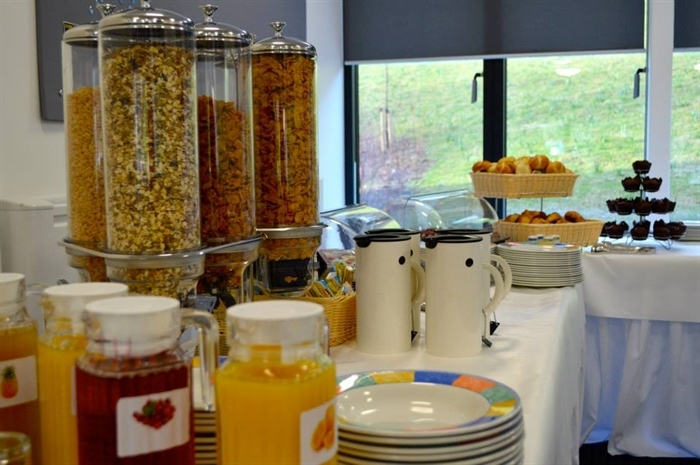 The staff will be more than happy to discuss all requests and can tailor stays to suit visitors' requirements from Room Only, Self- Catering, B&B, or B&B with Dinner; the choice is yours. 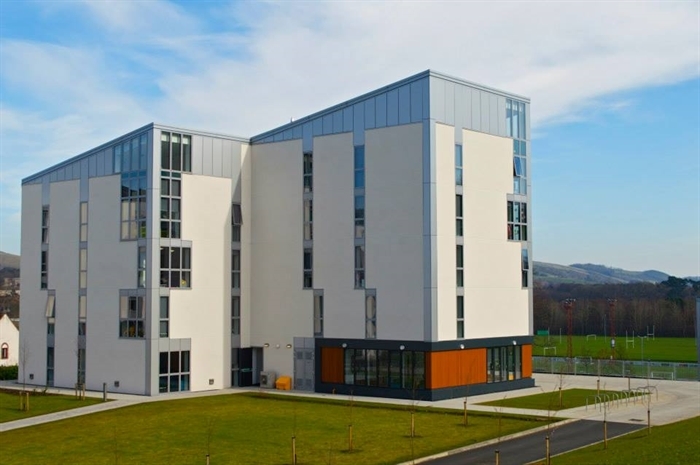 Set in hillside parkland, the student village has self-catering and hotel-type accommodation in adaptable rooms, lounges and communal areas, with views towards the Eildon Hills and down the Tweed Valley. 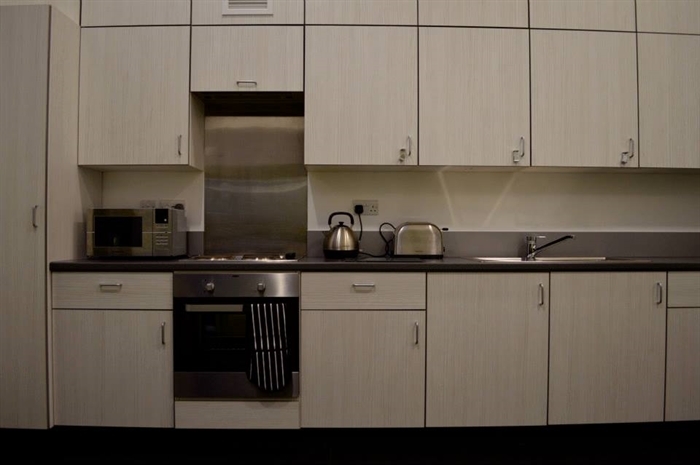 The two Pavilion buildings have spacious self-catering flats, all fitted with ensuite bathrooms and linked to well-equipped kitchens and lounges. 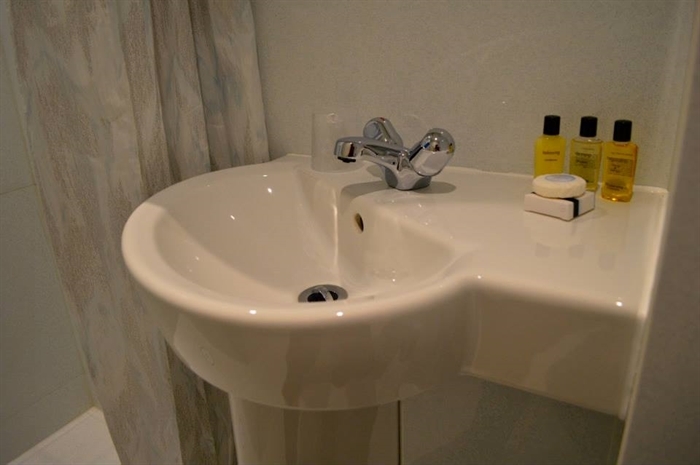 Larger deluxe rooms are also available. 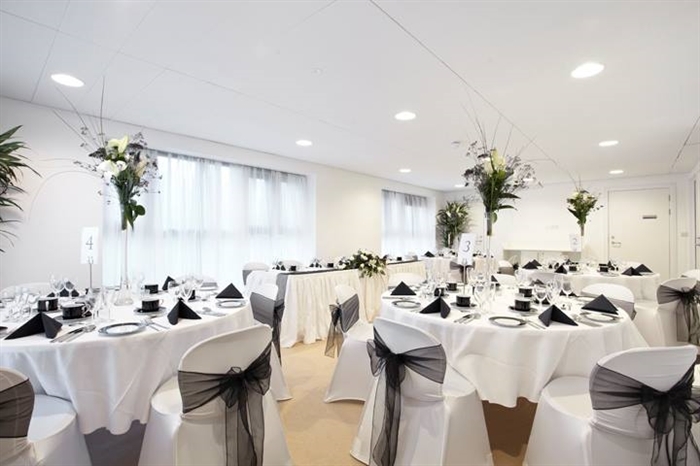 The Gateway, the administration hub, can cater for groups and its function rooms are perfect for special events, such as small conferences, meetings, seminars, dinners and weddings. For larger gatherings, marquees can be erected in the grounds. 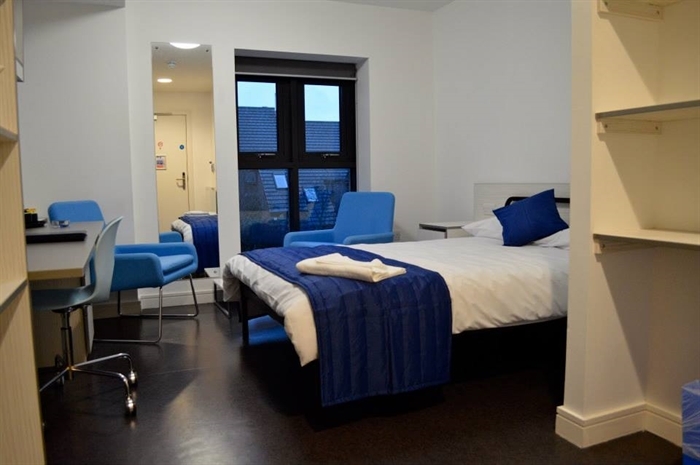 There is access for people with disabilities to all accommodation and facilities. 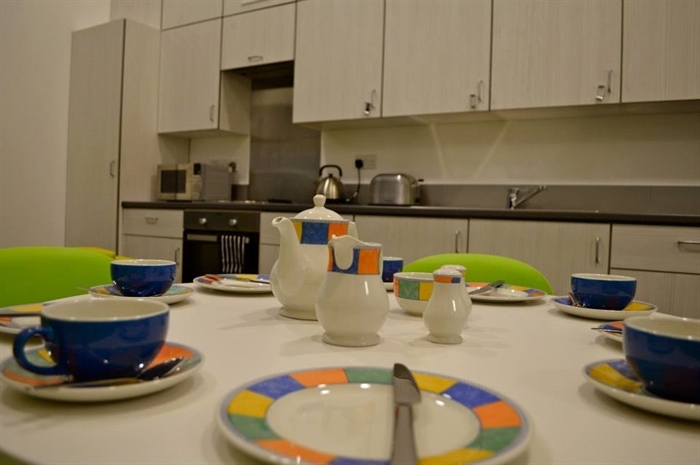 Education and leisure facilities are on the student village's doorstep. 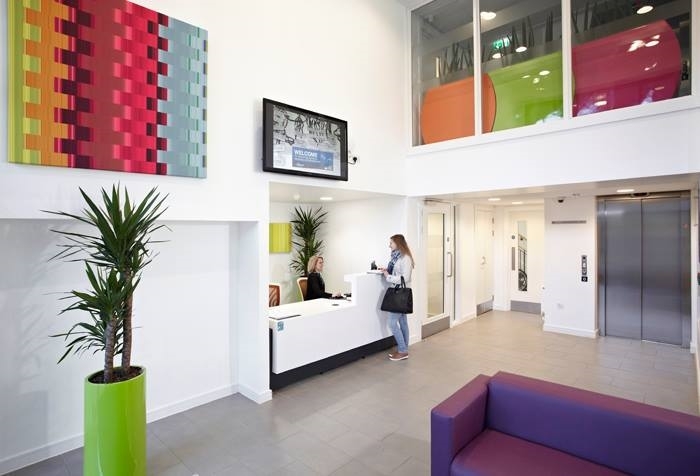 The university's multi-million pound learning centre features computer suites, workshops, studios, a library and a gallery. The High Mill is the focus for the popular Summer Schools, which allow students and the public to learn the latest textile and design techniques. 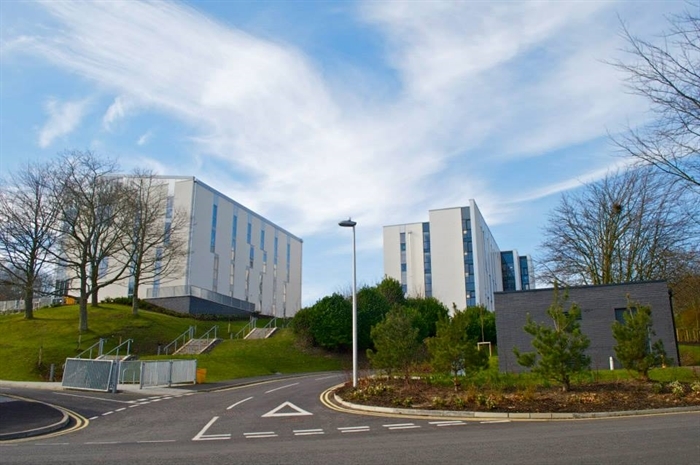 Beside the campus are the Netherdale bases for the famous Gala Rugby Football Club and Gala Fairydean Rovers, the footballers benefiting from the use of a 3G pitch, and the TriFitness training and health facility. The natural beauty of the Scottish Borders is a magnet for walkers, golfers, cyclists and fishers. 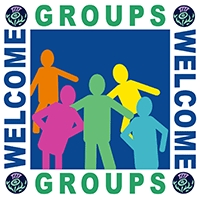 The University's commitment to providing a memorable visitor destination is underlined by four Welcome Scheme Awards , a VisitScotland scheme which recognises the efforts of quality-assured businesses to cater for people with specific interests and the Village has recently gained Welcome Scheme Awards for Golfers, Cyclists, Walkers and Anglers. 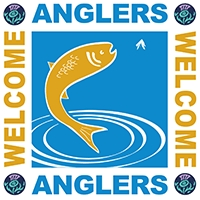 The River Tweed, with its celebrated salmon beats, meanders nearby and the tree-lined hillsides are just waiting to be explored. Take your steps on The Southern Upland Way, the Borders Abbeys Way or St Cuthbert's Way and sample an invigorating trek through The Debatable Lands and a region defined by a rich and colourful heritage. The region boasts 21 golf courses, offering 9-hole, 18-hole and championship-standard challenges in links and parkland settings. 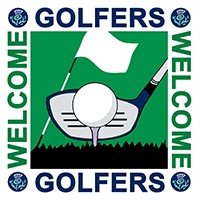 Visitors can take advantage of the Freedom of the Fairways passport, which, for a set fee, gives access to all courses over three or five days. 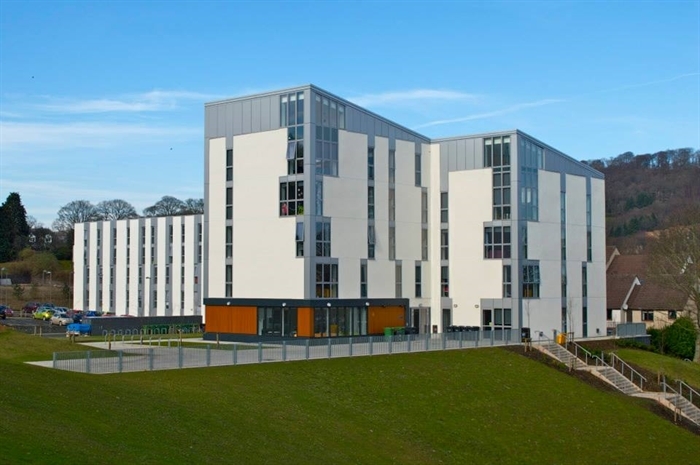 Just a 20-minute journey from the student village are two renowned locations for mountain biking. The award-winning Glentress Mountain Bike Centre has trails that are ideal for individuals and families, while the Innerleithen Downhill and XC offer international-class routes for experienced riders craving the ultimate adrenaline rush. 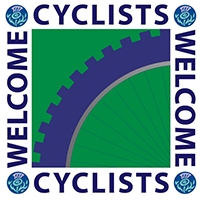 They are all part of the 7 Stanes Trail, which links mountain bike centres across the south of Scotland. 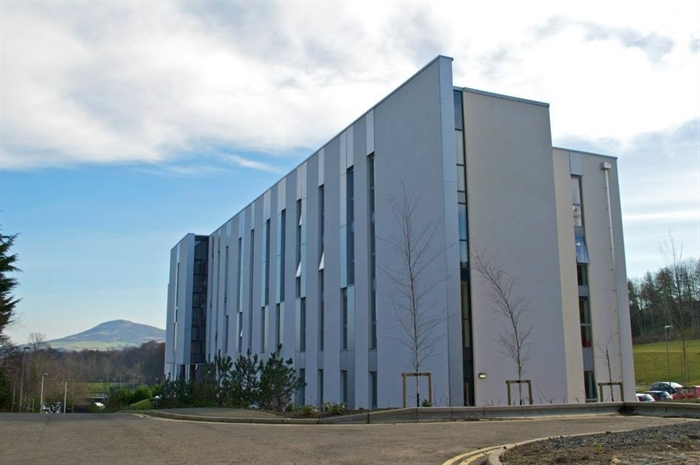 Galashiels' central location and good road and transport links make it a perfect base to visit the area's many picturesque towns and villages. 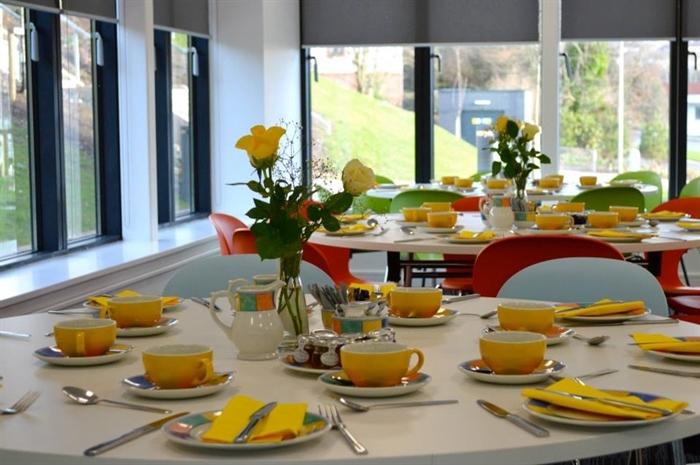 From traditional Common Ridings to Melrose Sevens, Sir Walter Scott's home at Abbotsford and the Borders Book Festival, the Scottish Borders has events and destinations to suit all ages and interests. 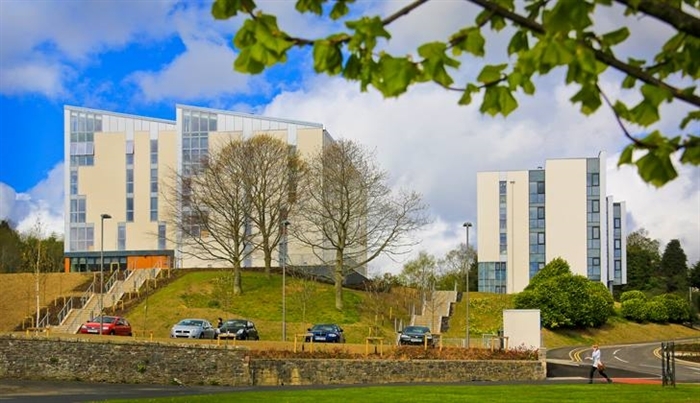 At the heart of this vibrant and diverse region, The Jean Muir Student Village offers excellent accommodation to match its impressive surroundings.